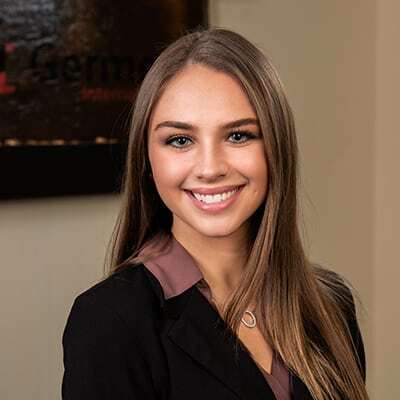 Brianna started her career with Germer International in February of 2018. She works on a team with Les Schafer, recruiting on Analytical searches with a focus on QC and Analytical R&D roles. She also helps our clients with their Quality, Validation and Engineering positions. Her positive attitude and strong desire to help other’s find their dream job is what drives Brianna to find a way to help everyone she speaks with. Brianna enjoys the challenges and rewards that come from recruiting, every day presents new learning opportunities and she loves building relationships and learning all she can from talking with professionals in this industry. A recent graduate of Penn State University, Brianna obtained her BA in Business with a focus on Marketing and Management while working full time at Abington Hospital. While at Penn State, Brianna enjoyed being a part of Thon and was a member of Penn State’s National Honor Society. When she’s not recruiting, she spends most of her time outdoors with her yorkie, or at the gym. She enjoys hiking, swimming, and vacationing at Lake Wallenpaupack.